Our services come with Materials and Labour Guarantee in the event of services resulting finish, which is not as per Customer's expectations. 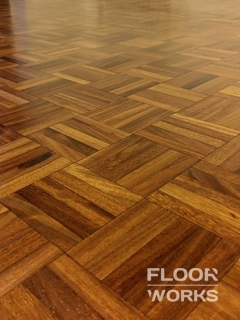 The Company reserves the right to apply limitations on wood floor restoration services on floors (not laid by the company) that have been exposed to continues moisture or increased humidity that may be the reason for contraction of the floors after the restoration. Damages and losses from installation faults or structural changes, should be covered by installation supplier or property insurer. Gap filling on original pine floor boards or other planks without tongue-and-groove or click system. Our range of products include world's leading manufacturers of finishes such as Bona, Junckers and Osmo. Working with latest products of these brands, guarntees our Customers the most durable finishes.